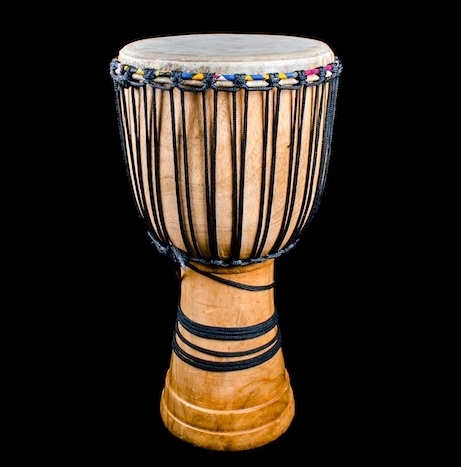 The Djembe is the archetypal West African hand drum, noted for the range of sounds and tones it can produce. According to the Malinké people a really skilled drummer can "make the djembe talk" — the versatility of the drum means the player can use it to tell an emotional story. We always have in stock authentic hand-crafted djembes of the highest quality. All our djembes are rope-tuned and individually handmade in the traditional way by skilled craftsmen. The body is carved from hardwood and fitted with drumhead made of untreated rawhide (most commonly goatskin). As these drums are individually made so please call or come into the shop to find out what we have in stock.